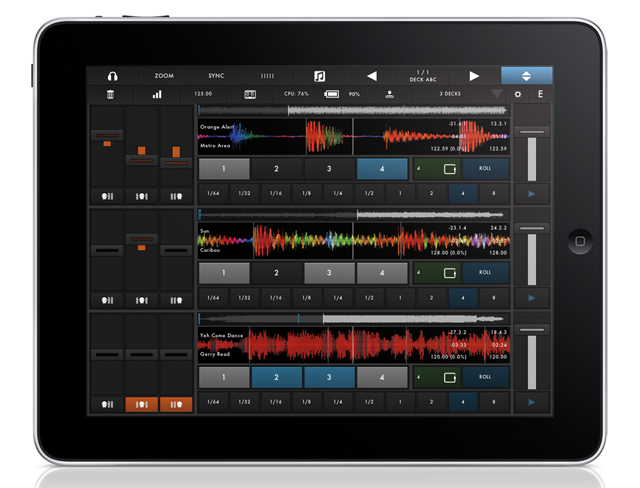 New Modular DJ App d(- -)b For iOS/iPad – From the Makers of touchAble! Zerodebug, creators of the popular touchAble iOS Ableton controller, are back with a new modular DJ application called d(- -)b that could change the game for DJing on your iPad. d(- -)b brings a high level of customization and functionality to a well-polished interface that is inspiring to play with. While you may not have heard of Zerodebug (it’s a new company name), you will probably know the team as the talented programmers who put together the very popular touchAble iPad controller for Ableton Live a few years back. 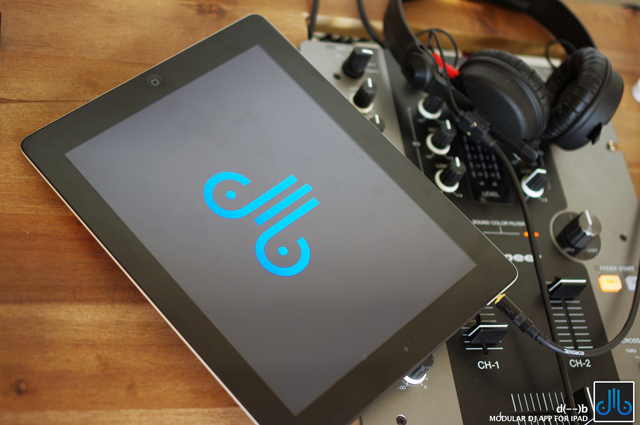 The team has obviously put their experiences to work with d(- -)b which offers a different sort of application for DJing on the iPad with a polished interface, deep control over sounds, and a customizable deck layouts that allow you to mix however you’d like. The end result is an application that stands out from the crowd and will appeal to those who feel confined by some of the limitations of other iOS DJ apps. Zerodebug is definitely doing something different with d(–)b, which is being billed as the “first Modular DJ App for the iPad.” The core of the app is similar to what you’re used to as a DJ – access to your music library to be mixed and chopped for performance or recording using a touch screen interface. Where d(–)b differs is by offering loads of variables that users can tweak to suit their style of playing. This includes an interface that can be played vertically or horizontally and from two to six virtual decks that can all be synced, EQed and looped on one screen. You can also spread out your control space into multiple screens if you’d like, and you can customize layouts for performance that can be saved and recalled for later use. While the level of customization in this app runs deep, the developers have done a nice job providing different templates (depending on how many decks you want to use) that will help you to get you started mixing quickly. The different layouts all take advantage of the iPad’s touch screen and offer things like instant access to 3-band EQ for each deck on the screen. The app is a breeze to play with and offers a high level of control through well-placed buttons and thoughtful movement controls such as pinching and swiping your sounds. Other details like waveforms that change color when you apply EQ and monochrome buttons that don’t get in the way also add to the professional side of the d(- -)b experience. Altogether the app has a very snappy response that feels good to manipulate. Like most other DJ apps, d(- -)b integrates with your iTunes library on your iPad, importing all tracks and playlists into the app’s music browser. Dragging a track into one of the decks will start an analysis of the song’s tempo and grid, which you can also fine-tune after the fact if needed. In our experience about half of the songs we analyzed worked immediately with the grid and tempo that was detected. The other half needed a nudge or were analyzed at half speed, both of which had fast and easy solutions. Tempo sync also worked perfectly about half the time we tried, and it had a harder time with complex rhythms. Four to the floor beats definitely worked best in our tests. The iPad DJ market is one of the most popular corners of iOS development in recent years, with hardware and software manufacturers racing to find the perfect way to DJ with this device that is already so perfect for organizing media. While many developers have tried their hand at the iOS DJ market in recent years, it was Algoriddim’s Djay and then more recently Native Instruments’ Traktor DJ for iPad that have brought a professional level of control to the platform. And while both of these applications have been successful in their own right, they may not be the final word on DJing with your iPad if application developer Zerodebug has anything to say about it. 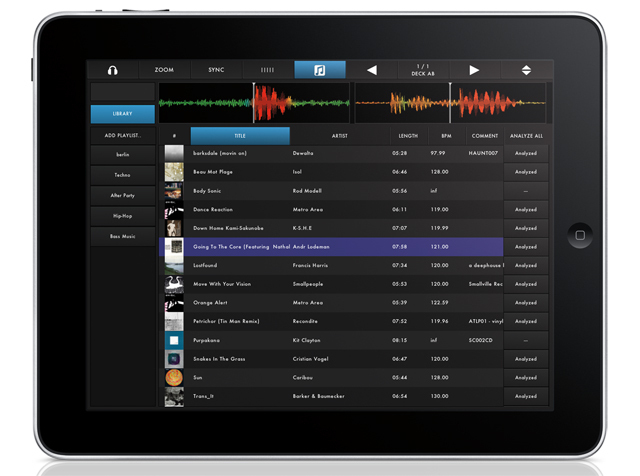 “We waited a long time for a professional DJ application for the iPad ..and ended up doing it ourselves. We are very happy to finally share this with the public.,” states Christian Blomert, head of development for Zerodebug and d(- -)b DJ app for the iPad.